Ben Turpin Custom Rod Building & Guide Service. Ben Turpin Custom Rod Building and Guide Service is located in Saylorsburg, PA. We are just south of Stroudsburg in the Pocono Mountains. 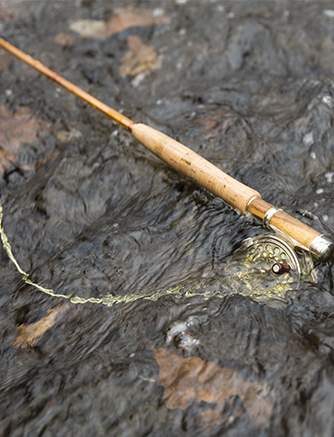 Our custom rod building and guide service business provides guided fly fishing trips for trout. 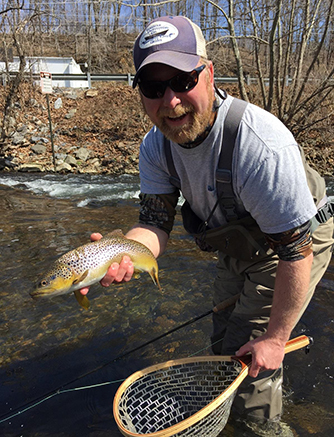 We service the Pocono Mountains, Northwest New Jersey and Central, PA. Look at the streams we guide through the fly fishing tabs drop down menu. We break them broken down by region. 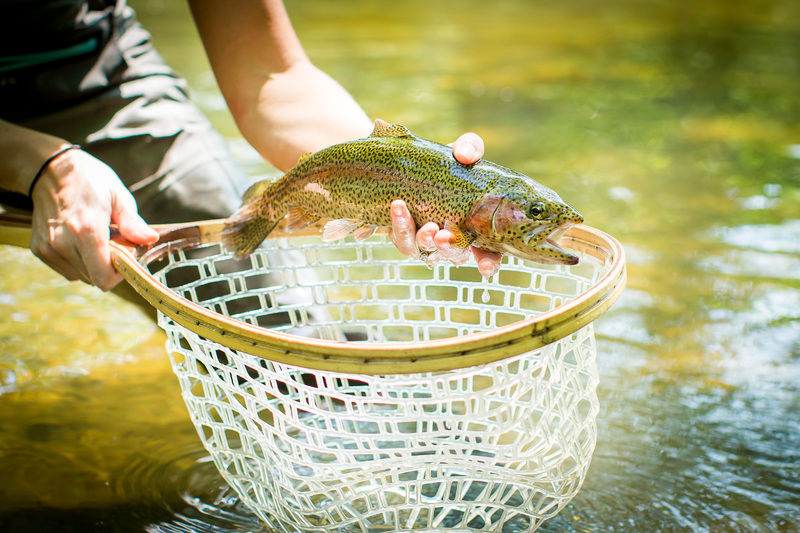 Our fly fishing trips are tailored to individual clients' skills and abilities. Guided fishing trips may be full or half days. Hand-tied flies, leaders and quality-balanced rods, reels and equipment are provided for all trips. Lunch is provided on full-day trips. 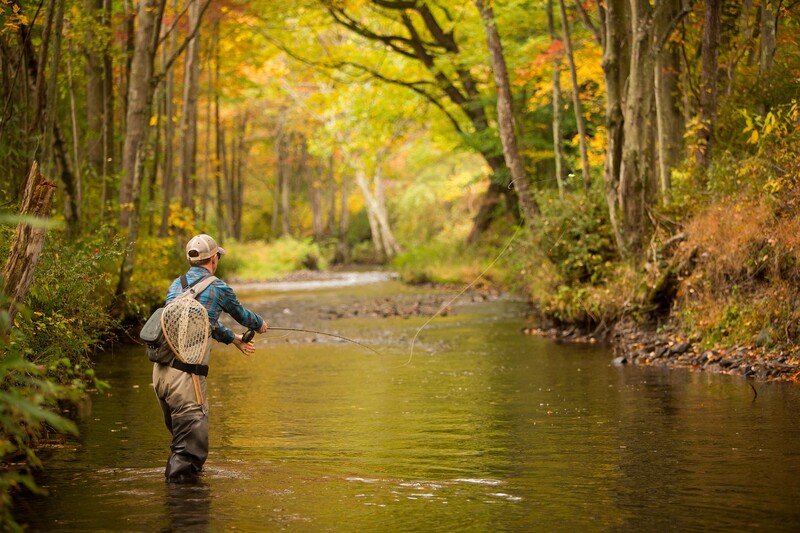 Some of the finest fly fishing waters in the USA are located in the Pocono Mountains and adjoining areas. I am fortunate to have so many beautiful, productive streams to fly fish close to home. These local streams are a day trip from the New York and Philadelphia areas. Come out and enjoy a full or half day of fishing and sleep at home that night! 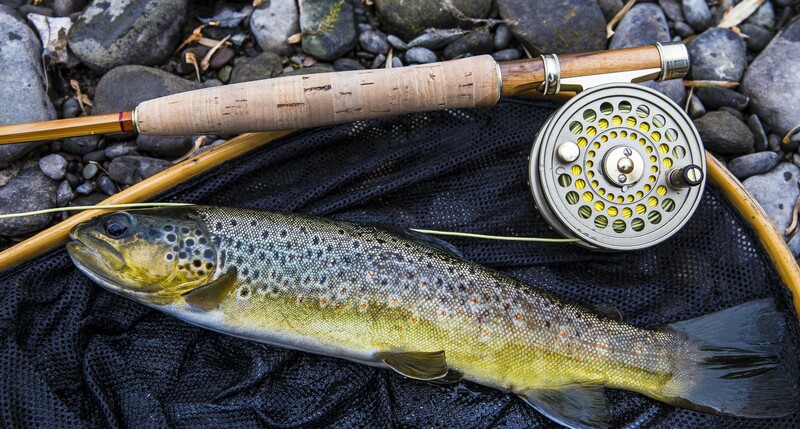 If you'd like to get away for a while, check out the hosted trip section to Central, PA. Our custom rod building and guide service will make you fall in love with fly fishing. My obsession with fly fishing and casting created the desire to build better rods. This made me begin my custom rod building and guide service. I built my first rod in 1997 and have expanded this portion of the business ever since. I specialize in building custom cane and graphite fly rods designed for performance and aesthetic quality. Each rod is unique with custom feather inlays and hand-painted artwork available by request. Rods are fitted with high quality components and built to customer specifications. Custom grips, color schemes, inlays and components are some elements of crafting quality custom rods. Catching a fish on a fly that you tied yourself gives you an amazing sense of accomplishment. Over the years, I have found and created many patterns that work extremely well. Some are available in stores, other patterns are in books and many are still in my head. In 2014, Eric Lanel and I started working on Whip Finish Industries. Whip Finish Industries allows you to access these flies and to demonstrate how to tie them yourself. In the video section, you can find many instructional fly tying videos to help you tie these flies. If you don’t tie, you can buy them through the Whip Finish website. 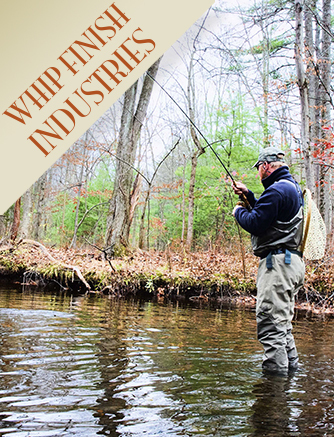 Through Whip Finish Industries, you can purchase the materials to tie the flies or buy the flies from our online store. Since our flies are tied to order, we sell them in packs of 6. This makes it easier on our local tiers. If you only buy 2 or 3 flies, they'll be gone just when you need them the most. We hope you have fun filling your boxes while you prepare to hit your favorite streams.